Overall, at 3 out of 5 stars, USANA Probiotic is a slightly above average daily probiotic. I love how unique this product is. It’s actually a powder that you mix into your drink. Sometimes with powders they end up being chunky and gross and the whole thing is a mess. I was happy taking USANA Probiotic because the powder mixed into water really well and it didn’t taste gross! It actually didn’t taste like much at all, which is a good thing. You just mix 1 stick pack into a glass of water or any other cold beverage and drink immediately. The directions say to take 1 – 2 stick packs daily or as needed to promote digestive health. I also like how convenient this probiotic is. You don’t have to refrigerate anything, so it makes it much more stable. It’s also easy to travel with the stick packs because you can throw them into a suitcase or purse and be on your way. 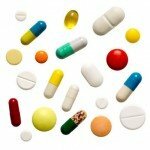 There are a few things that I don’t like about USANA Probiotic. For only 14 stick packs, it costs almost $30. The stick packs can last between 7 – 14 days, so your $30 doesn’t get you very far. Also, this probiotic isn’t safe for kids. It’s only intended for adults to use. I also wish that the packets were perforated. I know this seems nit picky but you have to cut the packet open with scissors, which I don’t normally carry around with me. 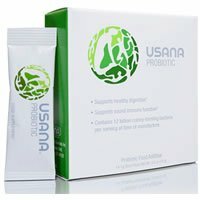 Overall, at 3 out of 5 stars, USANA Probiotic is a slightly above average probiotic because it’s very unique, convenient, and mixes really well however it’s very expensive and is only safe for kids to use. USANA Probiotic has 12 billion CFUs in a blend of 2 probiotic strains. I like the first strain, Lactobacillus rhamnosus LGG, because it has been shown to help balance out the bacteria levels within the body. Lactobacillus rhamnosus LGG may also help treat or prevent traveler’s diarrhea. The second probiotic strain used is Bifidobacterium BB-12. This strain has been researched to show a potential prevention in gastrointestinal and lower respiratory tract infections. 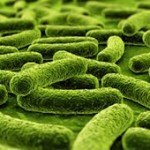 Bifidobacterium BB-12 may also help improve immune response and support normal bowel function. USANA Probiotic seems to be fairly allergy friendly. This probiotic is dairy-free, sugar-free, and gluten-free. The other ingredients include: mannitol, inulin and silicon dioxide. For 14 stick packs, lasting 7 – 14 days, it costs $29.65. 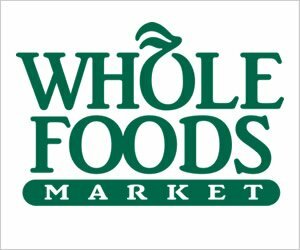 This works out to be $2.11 – $4.23 per day to take this probiotic. Anything over $1.00 per day is pretty pricey, so this definitely is up there. I think it’s a slightly above average product but I don’t think the high price tag lines up with the overall value of the product. I was really happy while taking USANA Probiotic because I didn’t see any side effects. I didn’t have any belly pain or discomfort. USANA Probiotic does give a 100% money back guarantee. 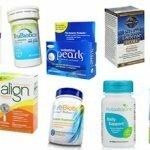 You have 30 days to try the probiotic and if you’re not satisfied, you can get your money back. They also allow replacements or exchanges within the 30 days. I really appreciate when companies can give their customers some type of guarantee like this! To buy USANA Probiotic, click here. Side Effects I didn’t experience any side effects while taking USANA Probiotic.